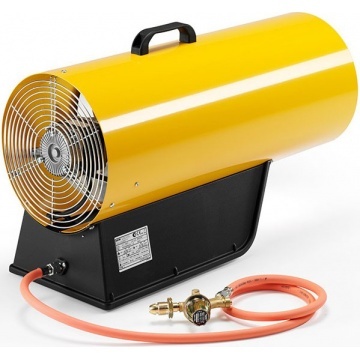 Dual Voltage 240/110 v propane gas space heater robust powder coated construction, motor has thermal protection and overheat thermostat. 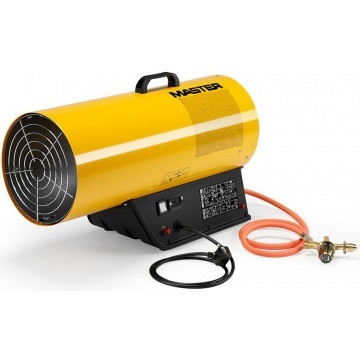 Variable heat 49 – 69 kW. 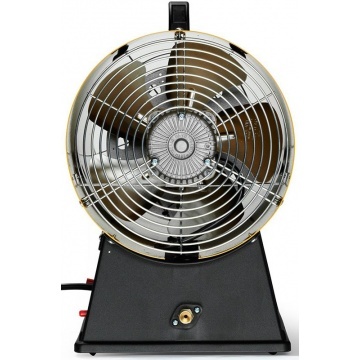 Dual voltage 240 or 110 volt fan. 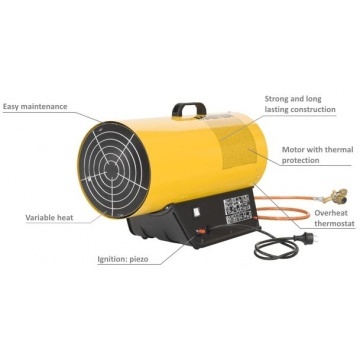 Adjustable heat output 49 kW - 69 kW. Fuel 5.02 kg/hr maximum setting. Runs from a single 47 kg propane gas bottle. 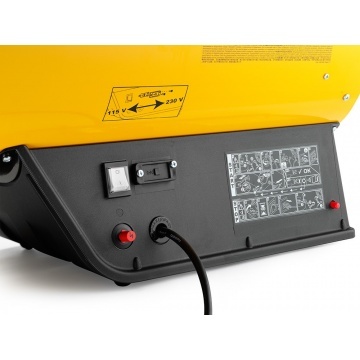 Supplied with cable and 110V Industrial plug. Gas propane space heater. 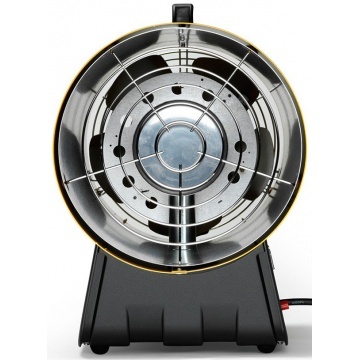 Dual voltage 240 or 110 volt fan.